John McGreal, Book of It, Matador, 2009. 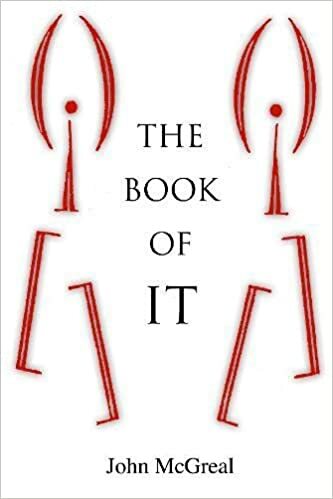 The narrative of The Book of It is a tragic-comic account of a modern man who has sadly lost it altogether. Unsure of who or what it is that he has lost, in the company of an unforgettable cast of idiosyncratic characters with whom he shares many trials, he nevertheless undertakes a remarkable journey in search of it into the unknown realm of terra incognita.